“One of the most intense, visceral” (Philadelphia Inquirer) writers of our time, Mark Bowden is a national correspondent for The Atlantic and Vanity Fair and is the author of numerous New York Times bestselling books of investigative journalism, including Black Hawk Down. His other books include Killing Pablo, winner of the Overseas Press Club’s Cornelius Ryan Award for book of the year; The Three Battles of Wanat, a collection of his best long-form essays; and Hue 1968, the story of the Vietnam War’s bloodiest battle as told by participants from both sides. 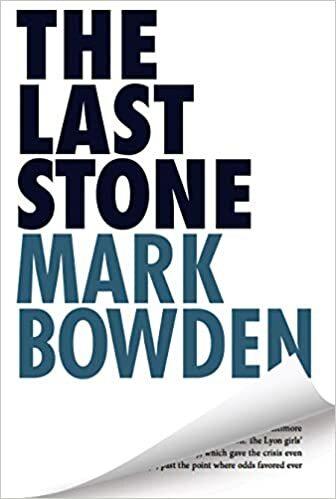 In The Last Stone, Bowden returns to a story he covered as a cub reporter in the 1970s as new evidence emerges in the case of two vanished children.